These black stains are caused by water leaks under a bathroom spa tub. 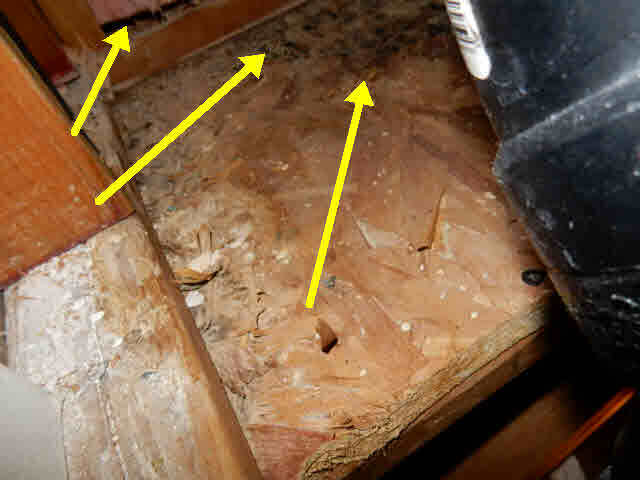 The client found it to be Mold with further testing. 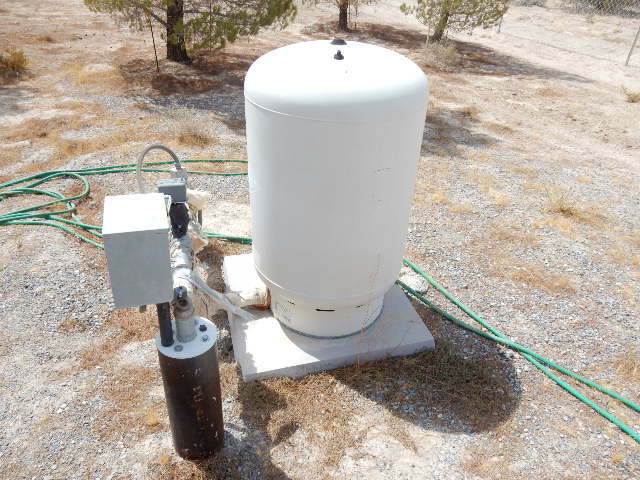 The leak was repaired and the mold was remediated at the Seller’s expense. 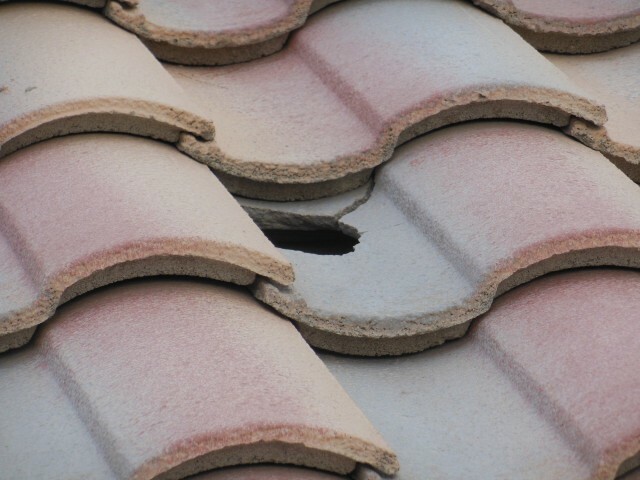 Slipped tiles are very common maintenance issue. From the rooftop you can see this vent pipe is not flashed properly and in the attic you can see water intrusion from this poor workmanship. 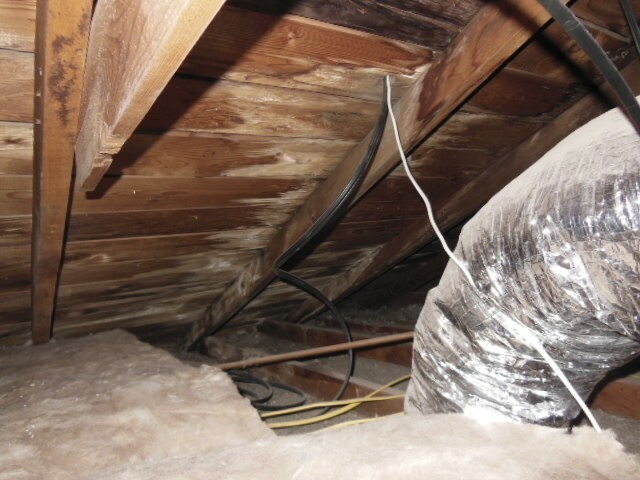 Your Attic is part of the inspection. 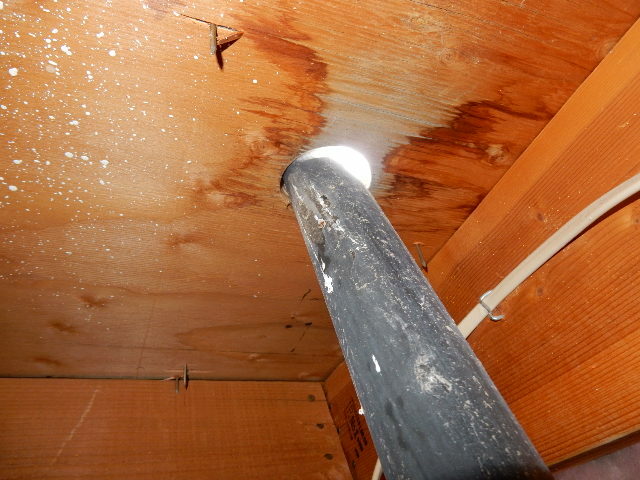 Here is a photo with serious water intrusion. We call this creeping window seals. 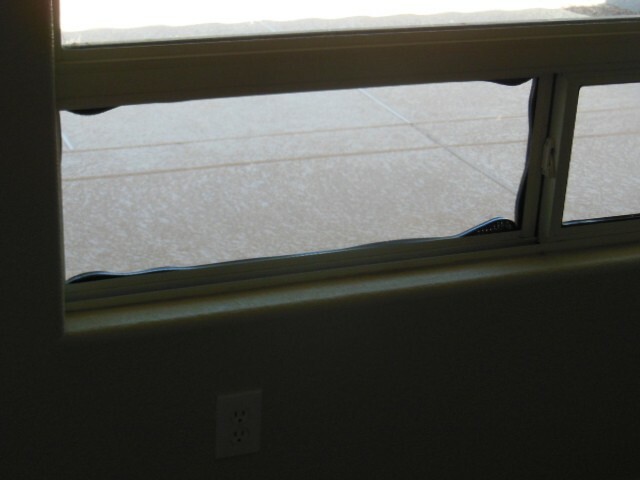 This is caused when thermal pane windows are in constant exposure to the sun. Eventually the seals become compromised and the thermal rating of the window is gone. Your utility bill will begin to increase if this is not corrected. This exterior door opens out instead of into the dwelling. This means on a rainy day the valley flashing on the roof will drain water all over the person entering of leaving. 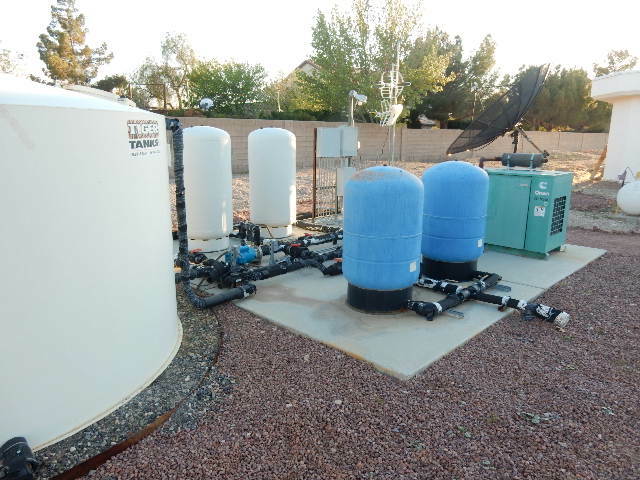 From the most basic to the most elaborate well systems we do them all. 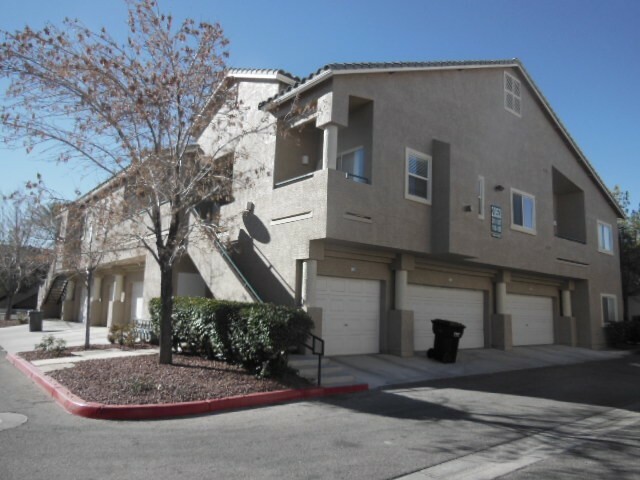 We also do multi-family housing and commercial properties. Your electrical panel cover is removed in our Inspections. 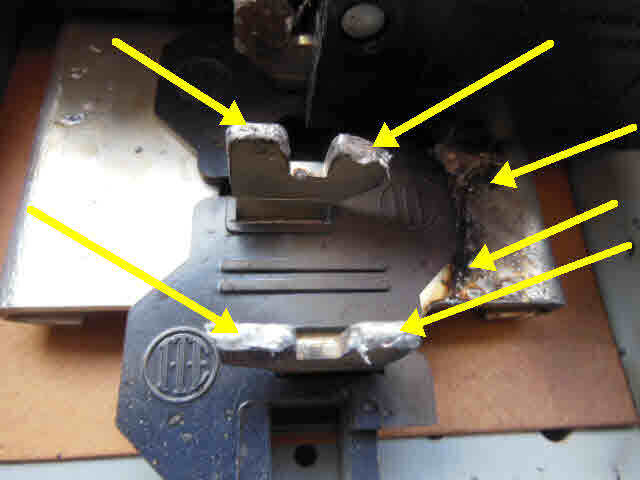 In this case you see a panel that has had major overheating from a melted Busbar. Here you see a flat rooftop with shingles being used. 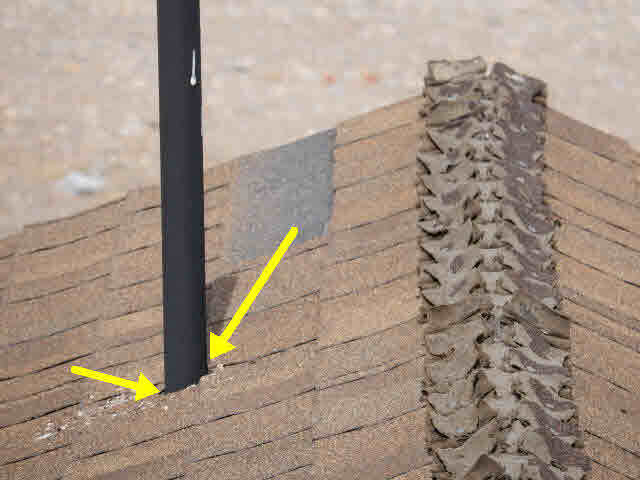 This material is not compatible with the slope of this roof. 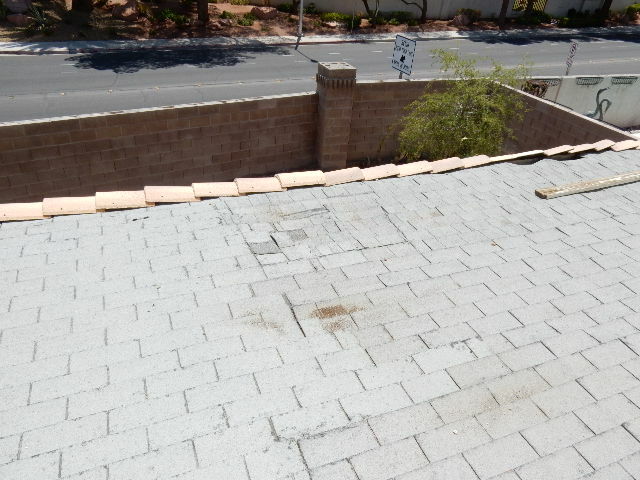 You can see an area where the roof is becoming soft and spongy from the material not sheading water properly. 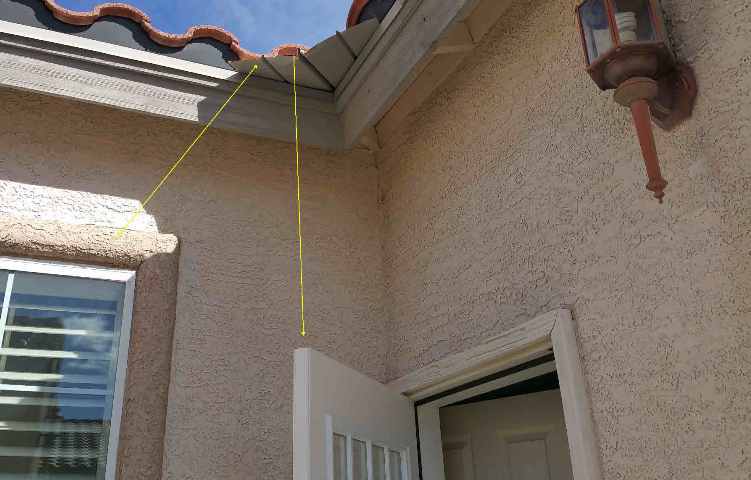 Here you see an electrical penetration through a rooftop. The work was not performed properly because it was not sealed properly. There was a roof leak in the attic. 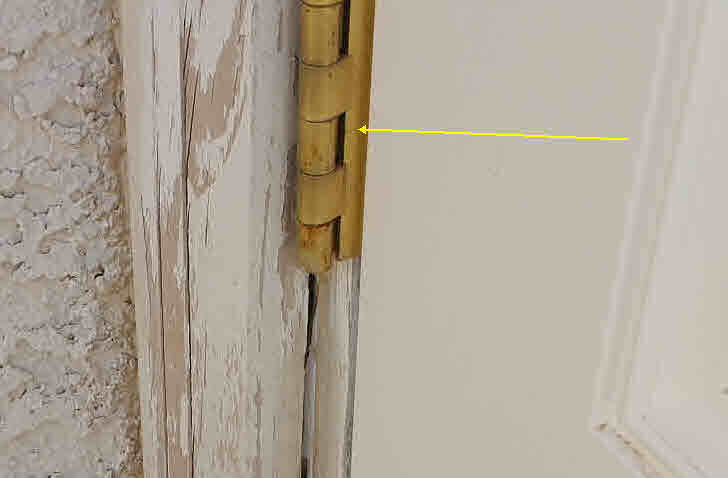 With an exterior door opening to the outside means the hinges are on the outside. This means no security. The door can easily be compromised by a burglar. 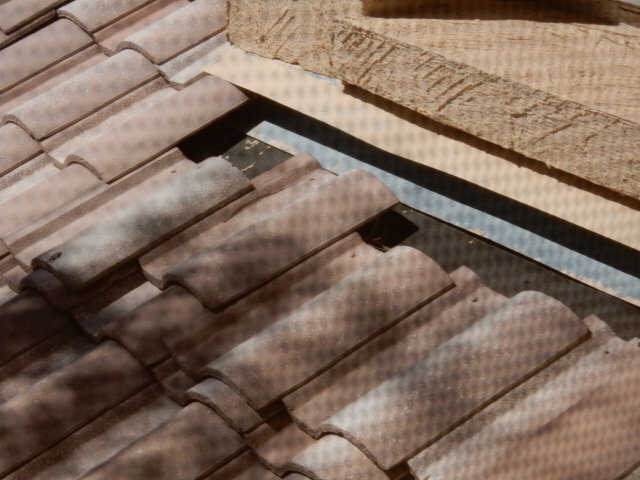 Tile roofs are very delicate to impact. Can we inspect pools? We do them all! 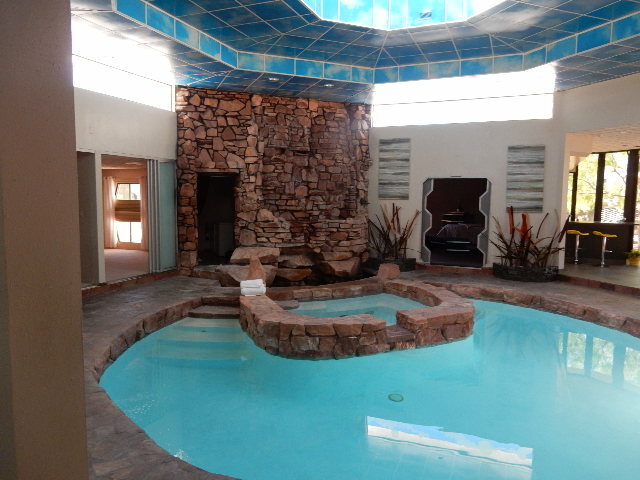 Here is an indoor pool of a high tech home with elaborate water features. Perimeter walls and vegetation are also part of your inspection. 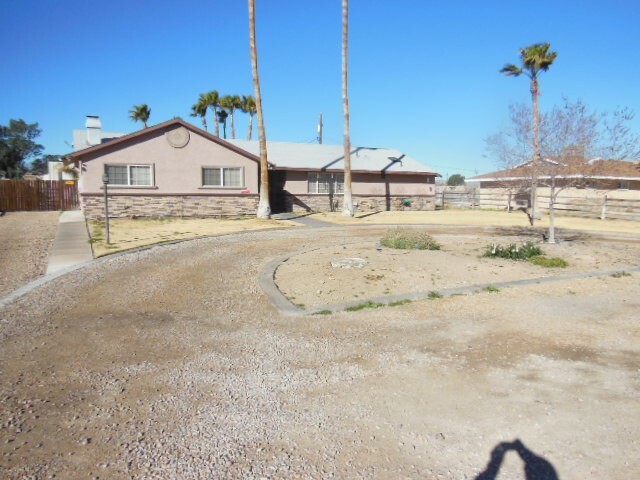 It’s not a requirement in the Nevada Standards of practice but at House to Home Inspection we exceed the Standards. 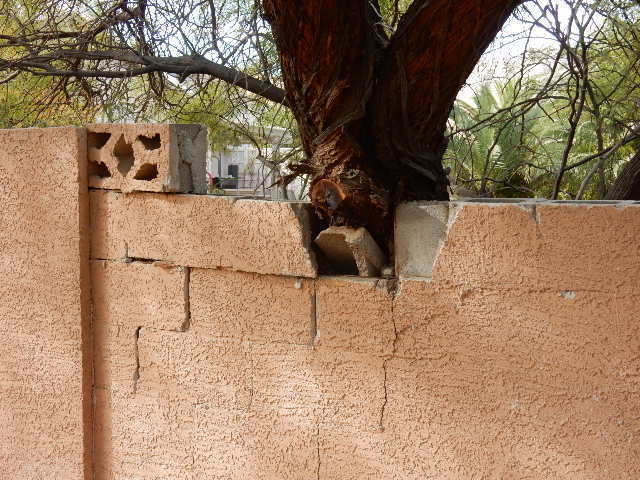 The wall and tree removal in this case may be the burden of the Seller. 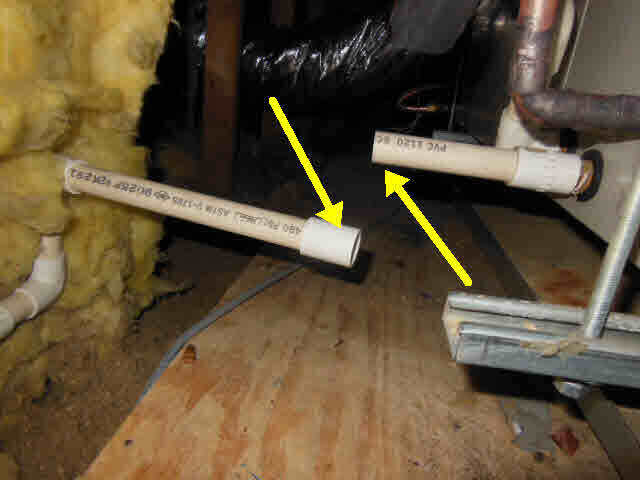 Here is a condensate line disconnected from the air handler of the attic unit. Luckily for the buyer this was an easy repair before any severe water damage was caused.